Congratulations to this year’s Art Grants and Art Honorarium recipients! We set aside $35,000 for Art Grants in 2019, and now you can behold the full list of recipients for yourself. A big thanks to everyone who applied. And another huge thanks to our over fifteen Art Honorarium recipients for 2019! Check out these descriptions by the artists of pieces coming from near and far for your viewing, listening, and playing pleasure. An extra special shout-out for Wee Effigy Applications! The form is open – if you want to bring a lil extra bit to burn at the effigy, fill in your application today. What a turnout. 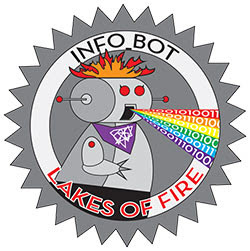 The Lakes of Fire leads have received hundreds of volunteers for 2019. Thank you for such a huge response! We have been diligently working through all our contact lists, with the goal of following up with everyone who expressed interest. If you haven’t received any contact yet, sit tight and you should hear from us in the coming weeks. Tickets (excluding LIT) are transferable this year! VOLUNTEERING – volunteer sign-up forms for 2019 are open.